In less than six months Plumbmaster has transformed the plumbers’ merchant sector in Northern Ireland. Haldane Fisher’s new specialist division for the plumbing and heating sector, Plumbmaster has become a successful entity in its own right, with increased sales and a wide range of new customers taking advantage of the many benefits the company has to offer. This success is reflective of the attention to detail put into the process by the Plumbmaster team and highlights the significant investment put into creating this specialist division. Plumbmaster has nine branches across Northern Ireland and two on the Isle of Man, all with their own dedicated trade counter, staff and delivery fleet, including the recent addition of a new 40ft curtain side lorry. This will be backed up with a new website that is set to launch on September 5, and dedicated social media channels – with plans to expand the e-commerce aspect of the business in future. All the former Haldane Fisher plumbing departments have now been rebranded as Plumbmaster, with the majority of branches having their own dedicated entrances to avoid customers having to queue in the builders’ merchant area. All staff have their own branded workwear while Plumbmaster also has its own dedicated fleet, complete with its distinctive blue, grey, white and black livery. Yet the connection with Haldane Fisher has not been removed; rather it has been enhanced. 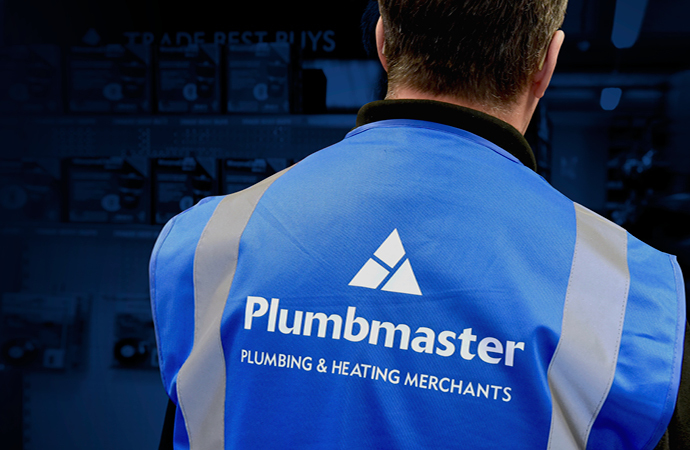 Customers across the Plumbmaster branches can enjoy favourable trading terms on the entire product range at the builders’ merchants. David added, “We have been considering this change for a number of years and we have put a lot of time, thought and investment into the launch of Plumbmaster, so we are delighted to see this paying off. 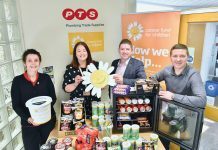 He added, “There is no doubt that having a firm foundation in the plumbing and heating sector has made a significant difference. 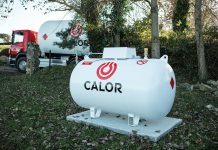 “With a successful plumbing and heating division in place, we already had the products and service, so alongside the rebranding we have further strengthened this further by increasing our product range and our stock levels. 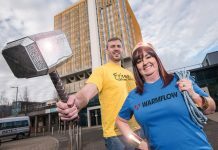 It is that final statement that has been key to the initial success of Plumbmaster and will be critical to how it develops in the future – particularly as the company has ambitions to become the biggest independent plumbers’ merchant in Northern Ireland. “We want to change the mind-set in the plumbing and heating industry and we see the launch of Plumbmaster as a real statement of intent,” concluded David. For more information on your nearest branch and the benefits on offer, visit www.plumb-master. com.